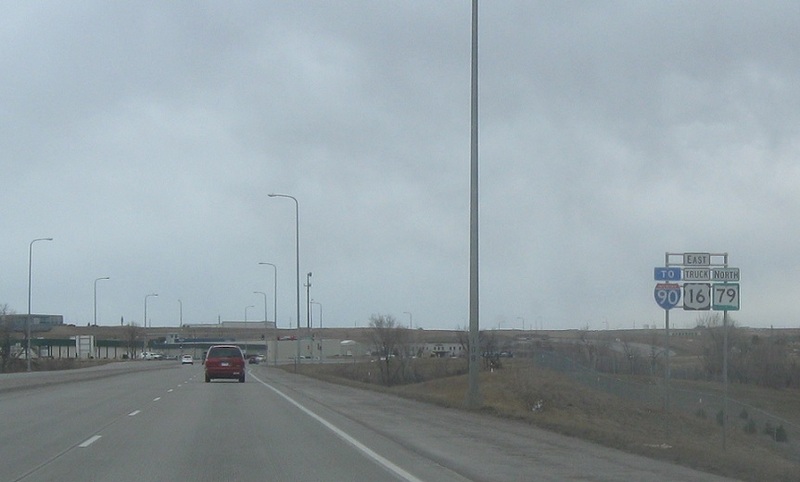 Reassurance shield after the SD-44 interchange. A couple miles later, we’ll approach I-90. 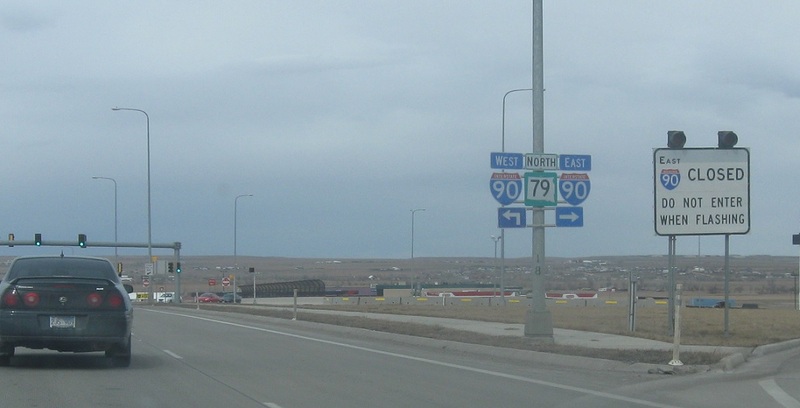 Omitting some concurrent highways- follow I-90/US-14 east to Rapid City and I-90/US-14 west and US-16 truck east and SD-79 north to Gillette. 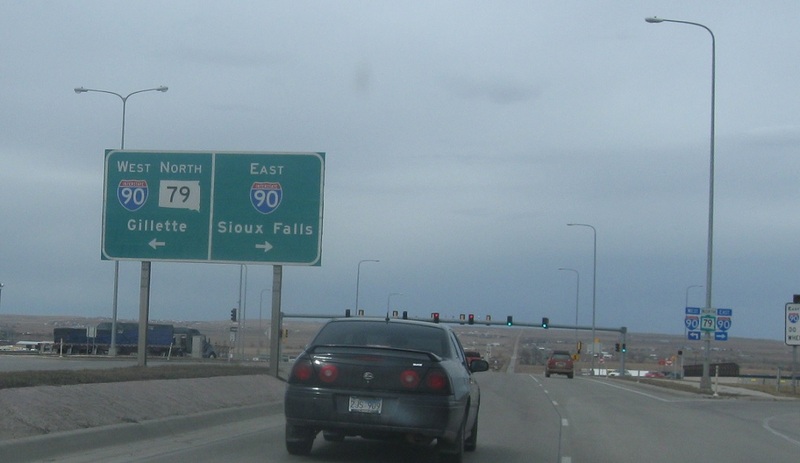 Turn right for I-90 east. 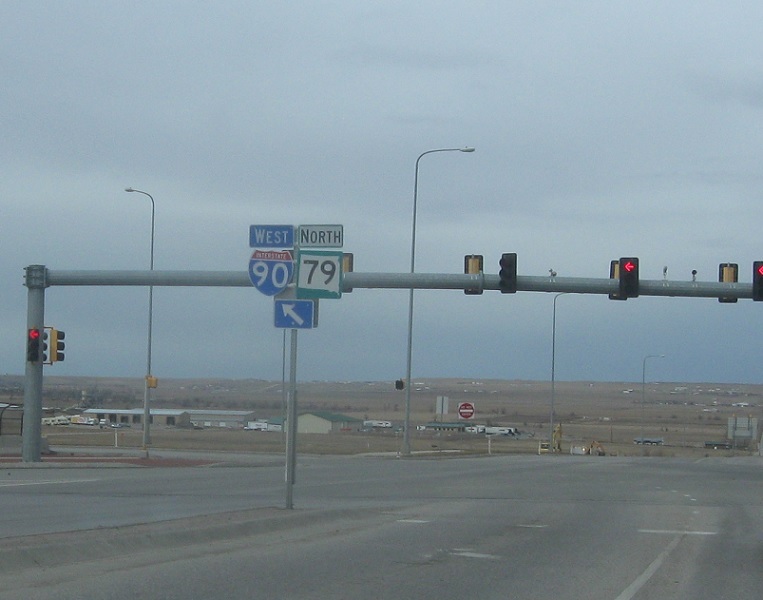 Turn left for I-90 west and SD-79 north. You’d think they’d sign 16 Truck East here (since they do from I-90), but I guess it doesn’t really matter, since 16 ends at I-90 anyway. 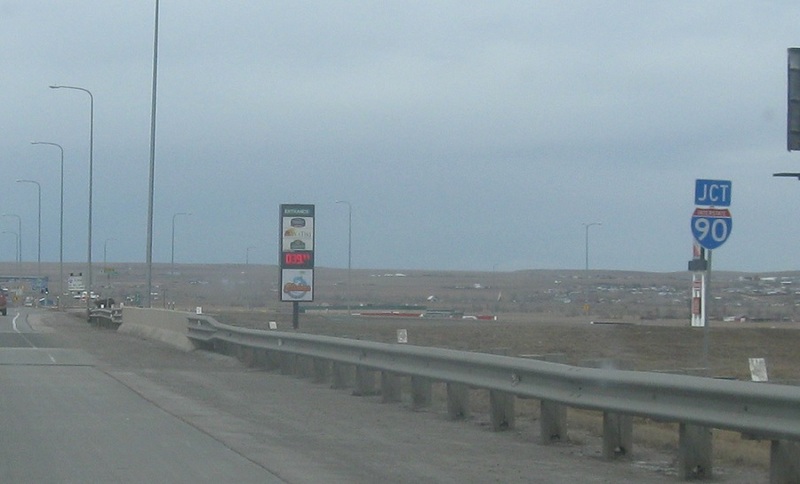 Turn left for I-90 west/SD-79 north, as well as US-14 west and US-16 Truck east.